The RELAG-System® – SLS – For managing and controlling forklifts with or without navigation. 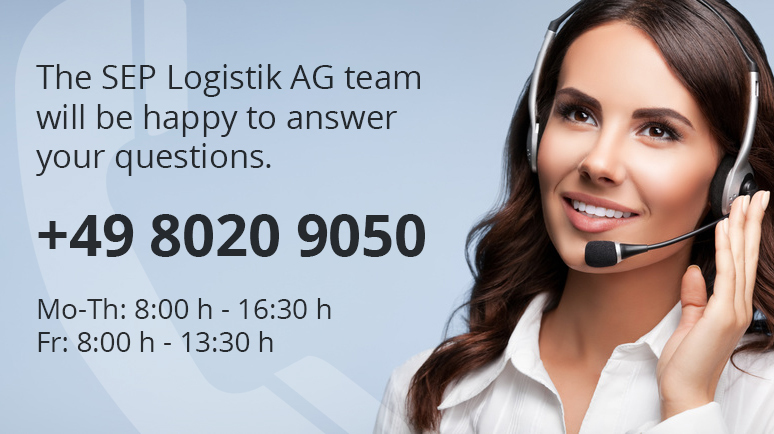 See for yourself what touches and moves SEP Logistik AG. We have been optimising our innovative warehouse management solution for more than 37 years. We are also continually perfecting the ‘seeing’ forklift. The RELAG-System® allows you to have an overview of everything while continually staying ahead of the competition! The RELAG-System® is a solution for your entire intralogistics. It consists of modules that are independent of each other and they control and optimise the entire internal material flow from the arrival of the truck – via the incoming goods – through to shipping. The RELAG-System® – LVS, the user-friendly warehouse management with 3D visualisation lets you achieve reliable warehouse processes combined with rapid product availability. The RELAG-System® – KLS is the ideal solution for the controlled and efficient handling of order-picking applications, both single and multi-stage as well as multi-order picking. The RELAG-System® – SLS is the perfect solution for efficient material flow and reliable goods tracking for intralogistics. The identification of goods and pallets is fully automatic without complicated scanning. Reduce your storage costs by increased warehouse capacities with 100% transparency combined with higher efficiency of your floor conveyors/forklifts. The RELAG-System® – NAV is an extension of the RELAG-System® – SLS, plus navigation with position determination for the forklifts. This ensures precise and fully automatic tracking of the pallets and goods. This automatic goods tracking enables a high degree of profitability and efficiency. With the RELAG-System® – BLS various types of block storage such as single space, multi-space, hose, position stores or also unstructured floors can be managed with maximum efficiency. The RELAG-System® – MLS recognises the complete structure of the factory with all transport systems based on the section information. This enables the integration of all conceivable handling systems from the paternoster and carousel warehouse and materials handling technology through to AKL and HKL. The RELAG-System® – PLS controls, checks and monitors the supply and disposal of all integrated production machines. In this way, they are automatically and optimally replenished with supplies and cleaned again according to the production orders. On request, we can supply and integrate the required and suitable hardware for any of your logistics solutions from a single source. Our proven and reliable partners help us to do so. Honesty is a virtue that is increasingly becoming forgotten in our society. We believe we do not have the cheapest software on the market BUT we keep to what our price promises. 37 years – Service, implementation and partnership have strengthened us and all to your advantage, as experience in warehouse management pays off considerably. Trust in experience! We are ISO9001 certified and can also demonstrate this impressively in our highly professional project management. We also offer maintenance and repair of the supplied components via our target-oriented partner network. Quality, high availability, short repair times as well as fast delivery always take top priority in our company and among our carefully selected partners. Our comprehensive service and customer support is available to our customers. Highly qualified specialists are there to help around the clock, seven days a week. In this way, we can ensure that every customer throughout the world can rely on us during their daily business. We work continuously on the further development of our products. Our development laboratory is continually witness to refinements, for example the latest locating technologies as well as a user-friendly mobile phone app for our customers. Providing the very best solutions is what drives us forward.